Plans to move to Malta are clearly on many people’s agenda judging by the amount of enquiry emails we receive at Malta Inside Out about taking up residency and related issues such as lifestyle, work, tax, property, retirement and health care. The first hurdle of course for anyone seeking to live in Malta beyond a holiday stay – deemed to be up to three months – is to sort out residency issues legally. If you’re a citizen of a European Union member state, the move and residency will be easier, but you’ll still have to fulfill certain criteria and fill in the necessary paperwork. Third country nationals need to do a bit more homework and check more boxes. To help guide would-be expats to Malta, we asked ACT, a Malta-based professional advisory services firm, to spell out succinctly what you need to know about taking up residency on the islands. In order to reside in Malta for more than three months, an individual needs to apply for a residence permit from the Maltese Immigration Authorities. The permit is granted on specific grounds depending on whether the individual is an EU or a non-EU national. Ordinary residence: ordinary residence can be acquired either through economic self sufficiency or employment/business or else education. Family members of an EU/EEA/Swiss national applicant are granted the right to accompany the main applicant irrespective of whether or not they are EU/EEA/Swiss nationals. The Malta Retirement Programme (MRP) Rules: Beneficiaries are subject to tax at the beneficial tax rate of 15% on foreign sourced income that is received in Malta (including a pension), by them or their dependants, subject to an annual minimum tax liability of €7,500 and an additional €500 for every dependant and household staff. Any income arising in Malta is subject to a flat rate of tax of 35%. Ordinary residence: ordinary residence can be acquired either through employment/self employment, or else education. 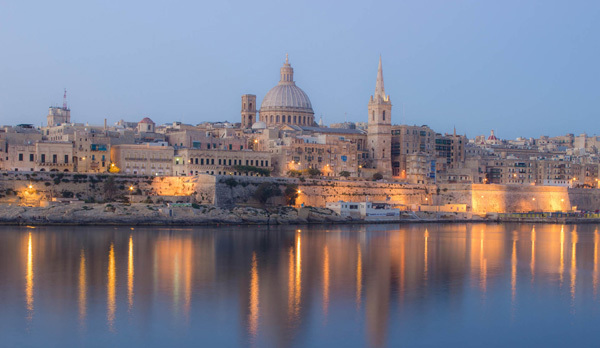 Third country nationals can also apply for ordinary residence if they are shareholders/ultimate beneficial owners of a Malta Resident Company. A third country national who has been residing legally in Malta for at least 2 years, can make a request for his family members to reside in Malta. Family members mainly include spouses (21 years or more) and minor unmarried children. The Global Residence Programme (GRP) Rules: There is no requirement for a beneficiary to spend a minimum number of days in Malta, however beneficiaries cannot spend more than 183 days in a calendar year in any other foreign jurisdiction. Beneficiaries of the scheme are subject to a reduced rate of tax of 15% on all foreign income remitted to Malta subject to a minimum tax liability of €15,000 p.a. after claiming any double taxation relief. The minimum tax for the first year is paid before the special tax status is granted. Any income arising in Malta is subject to tax at 35%. For more detailed information regarding the list of due diligence documents required to apply for any one of the residency schemes highlighted above, the application process itself, the criteria to be met, the tax rates for ordinary residents, the importation of household goods and inheritance tax, to name a few, visit the ACT website. The “Fact Sheets” include PDFs in five languages highlighting the various services ACT offers, including more details on taking up residency in Malta. At the end of the day, this and more is what awaits expats.